Yet more comfort food here! 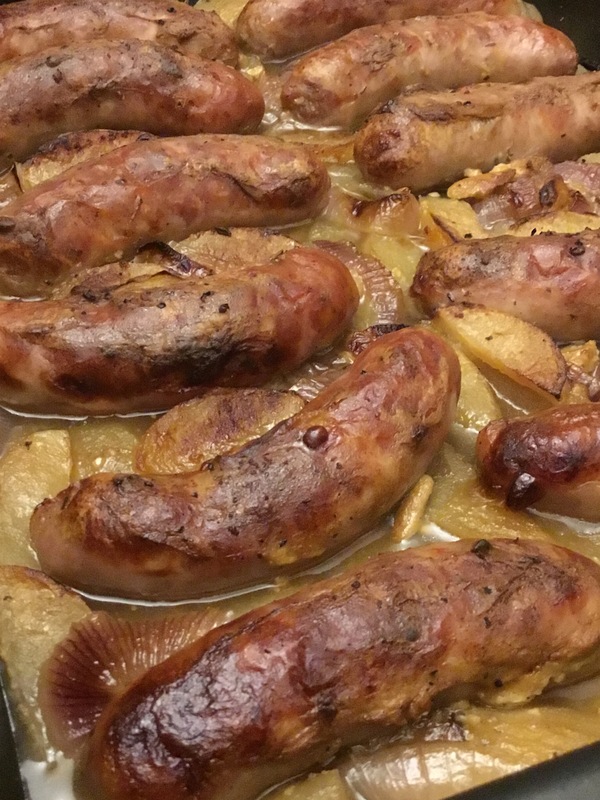 Apples and good pork sausages are a match made in heaven! I tend to use nice fat pork sausages, I get 10 to a kilo and sweet red eating apples as that’s what tends to be in the fruit bowl. In a large oven proof pan, heat the oil over a medium heat and cook the sausages for 5 minutes until the skins have some colour. Remove the sausages, set aside, add the onion to the pan and cook until soft, around 10 minutes.